When I made the AddOhms Tutorial on Linear Regulators, I made a comment about the 7805. I said it may be one of the most important Integrated Circuits (ICs) ever made. That’s a bold statement. The 555, 805, or 7400 might all qualify for such a distinction. My feeling about the 7805’s importance is because it is a chip that is still popular today. It is used, or at least was used, in so many applications. And it is the heart of many 5V digital systems. Including the Nintendo Super Famicom (and I assume the US SuperNES). This picture is from an SFC I disassembled to repurpose the case. While taking it apart, the 7805 caught my attention because it was attached to a shield as a heat sink. Also, I find it fascinating that it is one of 3 or 4 through-hole components on the entire system. 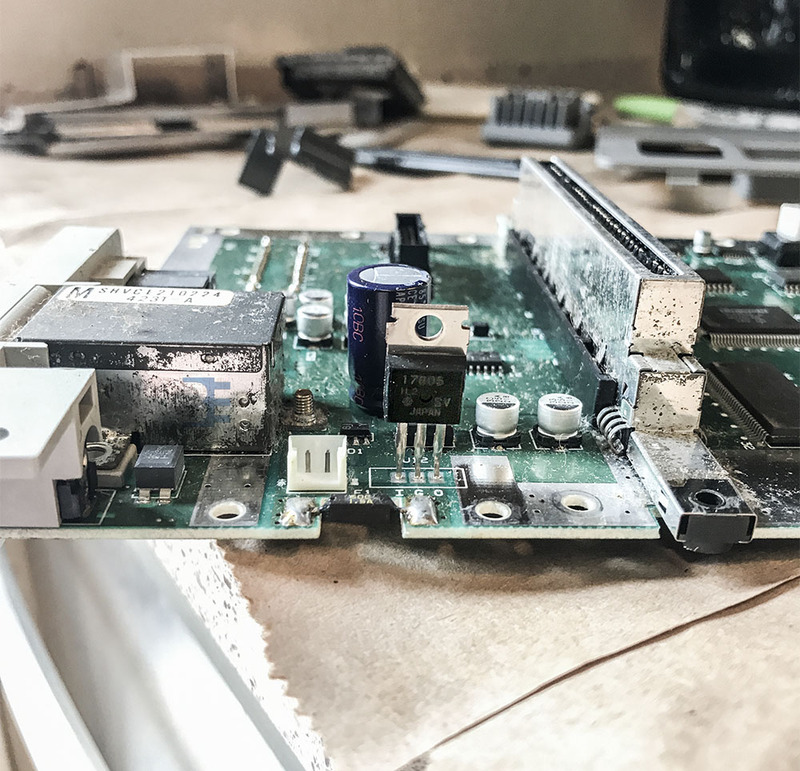 As you can see from the picture, it needs some cleaning. I might post more pictures later. 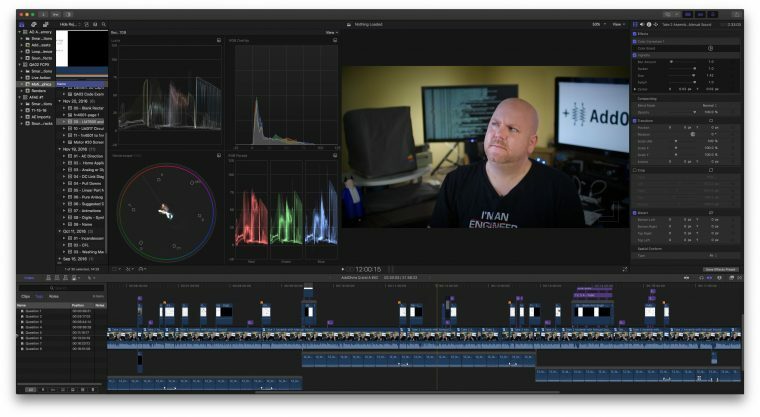 Took this screenshot while I waited for the AddOhms Q&A #02 Video to finish rendering. What could I be pondering? Things that connect with the internet, to share information. Devices that communicate with each other. No wait. Nothing does. It’s the Internet Of Nothing! 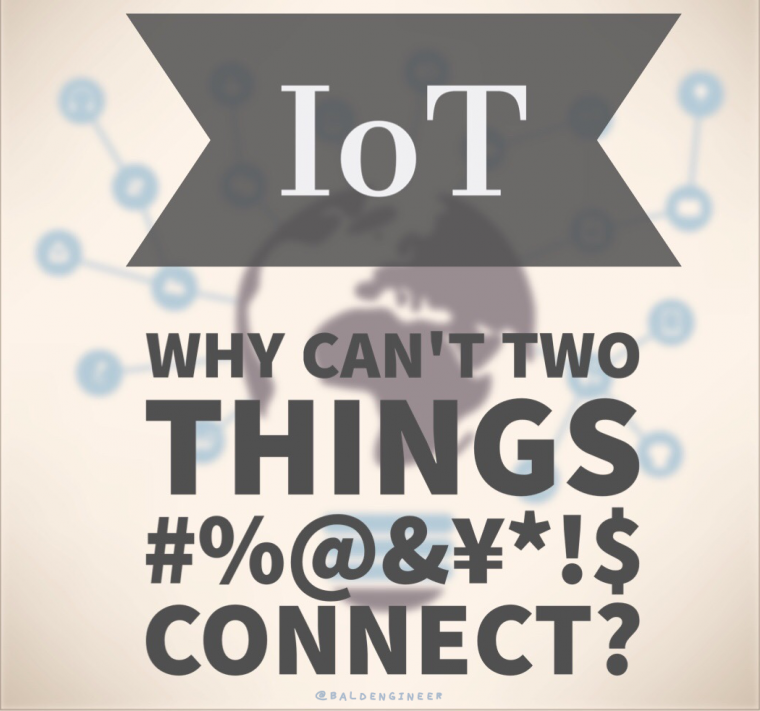 It continues to amaze me how few Internet of Things (IoT) devices actually communicate with each other. Isn’t Internet connectivity suppose to make it EASIER for things to talk? Computers have been communicating with the Internet for 45 years. Why can’t Light Bulbs from two manufacturers do it? At some point someone has to come along to “fix” this situation. What is that solution going to look like and how much longer do we have to wait? Let’s get out of the HealthKit era of things talking to each other. What a dull phrase, right? Well, I was stuck in the middle of a row with four people on either side of me. So I decided, it was a good time to catch up on Reddit. What I didn’t realize is “additive manufacturing” is what almost everyone else in the world calls “3D Printing.” Plus, this presenter was talking about doing it with metal! When you think about it, most extrusion-based 3D printers are laying down material one layer at a time. In other words, they are manufacturing an object by “adding” material. See the connection? Most people probably lump 3D-printing into rapid prototyping and additive manufacturing into a “real” production process. At SXSW one year, I attended an event held by Shapeways. Objects they made were all over the venue, and they looked incredible. Plus, some were for sale. My favorite? Super Mario Bros related stuff. Do a search for “Mario” in Shapeways marketplace for some neat things to add to your desk. How do you remove Jitter from a signal? 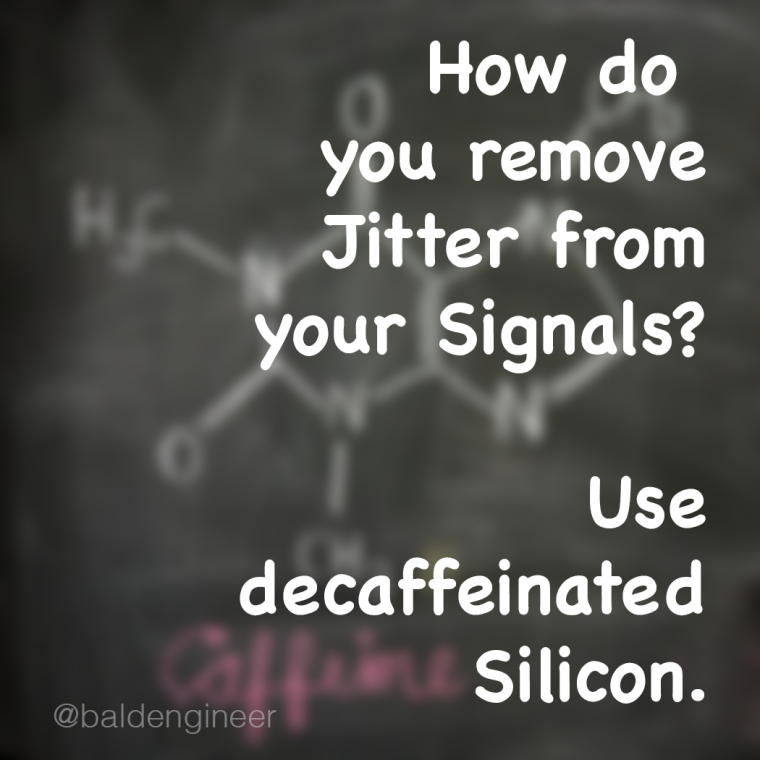 Use de-caffeinated Silicon, of course! 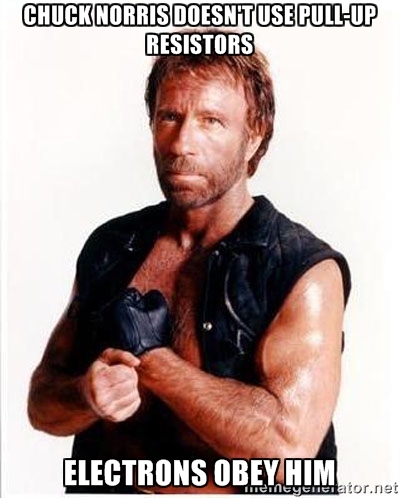 Fun with the meme generating. 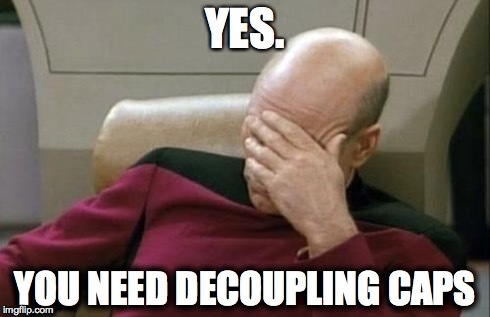 When it comes to adding decoupling caps, Make It So.